It's annoying that they do this because the whole point of the title tag is to show the title of the page and what it's about, but they go and change it to something they think might be better. Whenever this happens it sort of defeats the point of optimising the title at all. But hey-ho, if it helps you find the site you're looking for, who am I to complain? What About That Exclamation Point?! I can't help being a little hesitant about regarding the example given as typical. 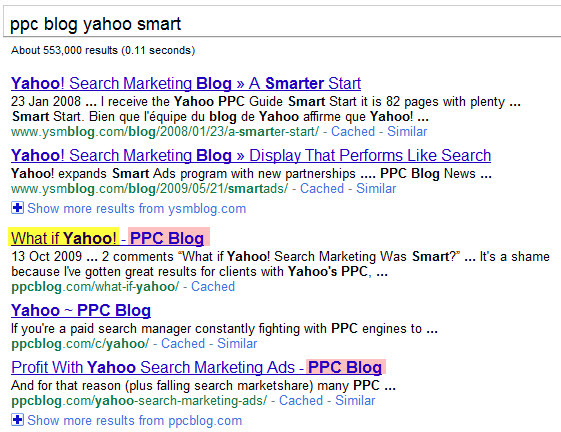 Couldn't the exclamation point after the word, Yahoo be a kind of stop sign for a search engine? It seems like the intended title could have been otherwise displayed in the SERP. I think they interpreted that ! as a break between sentences. I wasn't using the example as a perfect how to ... but mainly just to have an example to share, because it showed a couple different variations from 1 site in 1 search result. I read the post and got the essence of this. 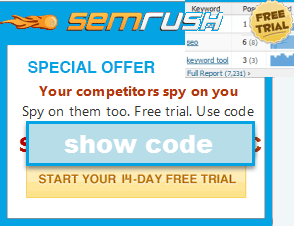 I would like to say that if its happening then nothing is wrong with avoiding the spammers as what they do generally create the landing pages with duplicating the content. Hence they just try to stuff there key phrases within their titles so this might be the case of blocking them but at the same time the best step of improvement in SERP's ranking could be top class deep back-linking. Another reason to for "super" relevancy . If our Web site content and everything about it is super well and relevantly written, Googles title adjustment program will probably not effect our snip-it anyway. And if Googles adjustment program does visit and adjust our title, consider it a free analynic tool. Consider that perhaps your title isn't as relevant as it could be in relation to your site entire site content. Actually if your the landing page from the snip-it isn't as relevant as it should be in relation to your product or service offer, then your less likely to convert the visitor to a sale. So if you're hit with the snip-it bug, take a good, long, hard look at your landing page and the balance of your site. Is it "Super" relevant to the snip-it? Did you also notice they are changing the text below the link? Maybe this is old news, but I just noticed yesterday that Google was also changing the text below the clickable title link. Depending on the search term used, I saw it use the meta description, the first sentence of the body text, and even a relevant sentence in the middle of the body text. Actually, I kind of liked it, because in my examples it drew more attention to my keyword. They have done that for a long long time. Keywords in context is probably something they have done for maybe even longer than I have been in the field of SEO. Just had this happen today. Google changed the Title Tag on every keyword that ranks for the Homepage to the Alt Text on the banner at the top of the Homepage. I can optimize by just changing the Alt Text on that image, but that's odd. Even more odd -- every keyword that ranks for the Homepage returns NO DESCRIPTION. Nothing but the green URL below. Makes for a very thin listing. Anybody have any ideas as to how to get the description to show? Are you using a meta description? Have you viewed the Google text cache version of your page? Are you using a meta description? Yes I do have Meta Description Tags and 2 or 3 days ago Google was using them. The other thing that is odd is that the blue "Cached" link doesn't show. The only thing there is the blue "Similar" link. When I run the site command, all of the interior pages show the "Cached" link, not the Homepage. They've all been cached within the last 10 - 14 days. All of my keywords rank and are improving as intended. Also, interior pages that rank are rendered fine. We did disallow in Robots.txt Product Query Strings that are created by the product search function. Maybe Googlebot is having trouble adjusting and this will work itself out. There's no doubt in my mind that the roll out of the New Places Search is affecting Search Results and CTR or both Organic and PPC listings. This might be the culprit as to why my listings are being returned with no Description Tag. I'm still searching for an answer.